Radical Unschooling is a progressive parenting philosophy, which includes children learning at home. It is different from homeschooling in that children are not forced to follow curriculum lessons and tests. 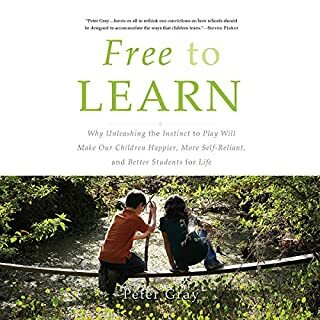 Radical Unschooling philosophy focuses on trust of a child's innate ability to learn without coercion and invites children to explore their passions. The parent's role is to facilitate their interests and curiosity. 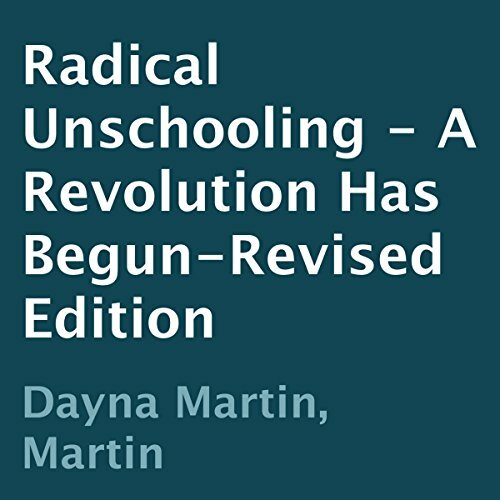 Radical Unschooling - the book - focuses also on the evolutionary aspect of parenting and human consciousness. We are parenting and educating our children today to succeed in a joyful, productive life by following their passions, not someone else's agenda. The main focus of parenting today is obedience and meeting the needs of the parent. This has to change if we want our children to live in a peaceful world. Moreover, Radical Unschooling is just radical enough to herald a wake up call to our culture because of the truth the philosophy speaks. I loved every minute of this audiobook. The concepts presented really spoke to my instincts as a parent and what I want for my children. I love the way that the author follows the same "New Thought" philosophies that I live by. Excellent, excellent book. I only wish it was longer- though the material was covered very thoroughly, I didn't want it to end. Thank you, Dana, for this life-changing book. The author is full fo herself. What was most disappointing about Dayna Martin’s story? This woman acts as if she is God's gift to parenting. The book is repetitive without offering many concrete examples or details. It really is just Dayna talking about how awesome and radical she is without really giving clear instruction about what exactly she is doing. She even thinks she should have her own show! Who would you have cast as narrator instead of Linda Velwest? Linda was fine. The content is terrible. What character would you cut from Radical Unschooling? The book is obnoxious and doesn't offer enough detail. I don't disagree with Dayna on her parenting methods - I just think she is a bad author and didn't set out to what she intended to do, which was tell people how she is unschooling so that they might use the technique with their children. More examples, less talk about how awesome you are! It was an eye opener for me as a father. 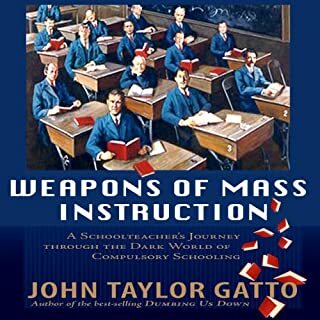 My wife came to this conclusion naturally a while ago and wanted us to follow this approach, but I always felt left out and thought we are doing classical homeschooling. Now I know what to do and have already started receiving the love and respect of my children, which I was trying to receive by being an authority. Confirmation of what I already believed! My eight year old son has struggled tremendously in school. He's constantly being labeled. He has very little interest in what's being poured into his head. Yet he thrives when learning about something that he's genuinely interested in. We are going to do this as a family. Thank you. Wonderful Intro into Unschooling Lifestyle! The author guides through an easy to follow trail of introduction into an unschooling lifestyle heavily based on the author's family. It almost felt like she guided me gently into the waters to thigh high and then encouraged to dive in the rest of the way yourself. Every concern I had got addressed as soon as it popped in my head which was very helpful. For example I love how she emphasizes that you can't expect to be perfect, and should expect to occasionally fall into the traditional way of reacting and thinking, which is encouraging because I'm nervous of having &quot;perfection&quot; loom over my head. I loved the &quot;Unschooling Moments&quot; where the author describes actual instances of the positive effect the unschooling has had on her children and their family. I'd love to hear more as those felt like great examples to follow. The only thing that was at times annoying was the narrator's way of speaking the dialogue almost in a mocking voice when other people were involved. This book was very helpful and I can see myself coming back for refresher listens. I'm going to apply this info to rising my child. I'm so thankfully I read. a good read but I was hoping for more tips. 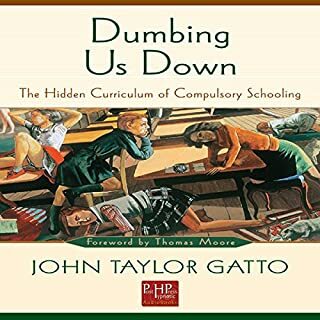 this book makes the argument for unschooling more than offer help. What made the experience of listening to Radical Unschooling the most enjoyable? This mama has a great philosophy. I really like the ideas and philosophy of this mama, but the affectation of the narration is so smug. It seems like it is less about conveying the theory, more about conveying the superiority of the writer. Still worth listening to. I loved listening to this refreshing book, I wrote down notes and made several bookmarks I know I'll reference over the years as I walk this path with my family. If you could sum up Radical Unschooling in three words, what would they be? I like to listen to this book to remind me to be on my child's side. The narrator sounded like a robot. She read like the GPS in my car. No, you can drop it and pick it up again anywhere in the book, and that's not a bad thing. She's got good ideas, and I've listened to this multiple times while I'm working, but the narrator is not good at all. There are plenty of informative books on this topic but this isn't one of them. It reads like a blog and granted what she had to say is very interesting. I was intrigued to know the story of the author and so I googled her. But I really I wish I hadn't! It's a strange twighlight zone type place. Don't waste your time. Just listen to something by John Holt. Thank you Dayna, this was very inspiring. 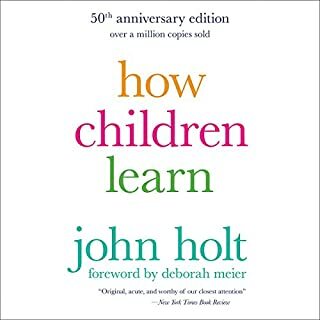 This audiobook touches on much more than just 'unschooling', including life philosophy, parenting and improving your relationship with your partner. I found all these topics useful, particularly the part about improving communication with your partner when you are starting to follow a path that is unknown to the other, this does take time in practice. Dayna is also a follower of the motivational speakers / authors Louise Hay and Wayne Dyer which is clear throughout the book. 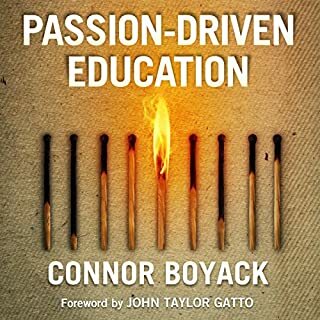 My daughter is currently in school but this audiobook has given me further courage and confidence to take the step to unschool when the time feels right. I am looking forward to the summer holidays when we can live that lifestyle. This is a great self help book for any free spirited, gentle parent! One of the best and most useful tips. Recommended to all adults because it's time to change. This is a radical book. I find it hard to agree with all the concept of radical unschooling. I would have liked the author to give more examples. Each concept is often backed by only one example while I would have appreciated the examples of several families.